A legal guardian is a party appointed by a court to care for a minor child or an impaired adult, known as the ward. State law governs guardianship; Kansas guardianship law sets forth comprehensive procedures for naming a guardian. The Kansas state government established the Kansas Guardianship Program to provide guardians for adults who cannot otherwise find guardians. A ward is either a minor -- under age 18 -- not in the care of his parents or in the care of unfit parents, or an impaired adult who lacks other alternatives to meet his essential needs. "Impaired" means that the ward must suffer from a physical or mental disability that prevents him from properly caring for his property, health, safety or welfare needs. Although most minors do not have to be impaired to be eligible for wardship, an emancipated minor must be impaired. A minor is emancipated if he has been legally vested with adult rights due to the consequences of certain acts such as getting married or joining the military. A guardian must be an individual at least 18 years old or a private, non-profit corporation. 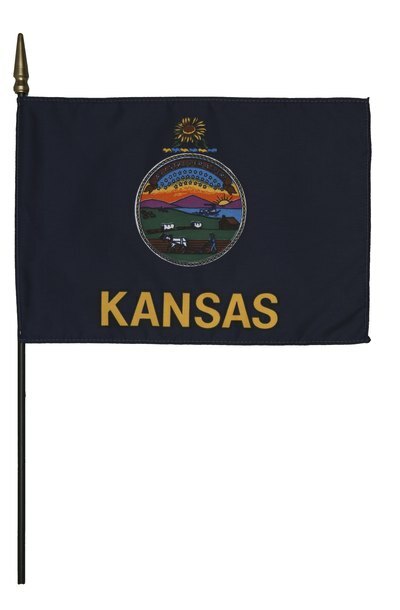 A corporation must be certified by the Kansas Secretary of Social and Rehabilitation Services. A court must appoint both individual and corporate guardians. When considering the appointment, the court examines whether the proposed guardian is a "fit and proper" party to act in the best interests of the proposed ward. The court will give special consideration to certain parties, such as a party nominated by a close family member or by an agent of the ward acting under power of attorney. Any person may file a guardianship petition with the Kansas district court with jurisdiction over the proposed ward's place of residence. The petitioner has the burden of establishing, at an adversarial hearing if necessary, that all legal preconditions for guardianship exist -- that the proposed ward is impaired, for example, or that he is a minor with unfit parents. The court may order an investigation into the history and personal character of any proposed guardian. If the petition is successful, the court will issue an order naming a guardian and placing the ward under the guardian's legal authority. A court may issue an order terminating a guardianship if the ward dies, if a guardian was appointed for an unimpaired minor and the minor reaches 18, or the need for the guardianship no longer exists. The court may also replace an unfit guardian. A parent may petition for the termination of the guardianship at any time, and the petition will be granted unless the parent is found unit. A guardian is a person or entity appointed by a court to care for a person who cannot meet his own needs, known as a ward. Although the powers and duties of guardians are similar to the powers and duties of parents with respect to minor children, a court cannot appoint a guardian for an adult unless he is subject to a disability that prevents him from effectively caring for himself. State law governs guardianships.